We’re delighted to welcome two new solicitor apprentices who have taken their first seats in separate teams here at Muckle. 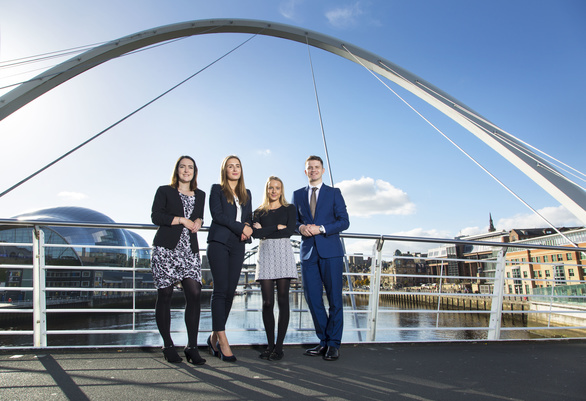 Lauryn Hellewell has joined us through the North East Solicitor Apprenticeship (NESA) scheme, an alternative, university fees-free route to becoming a qualified lawyer. Lauryn, who is originally from Darlington, has started her career in the Corporate Team. Paula Normington, who previously worked as a Business Support Officer and a Paralegal, has begun her apprenticeship in our Employment Team. 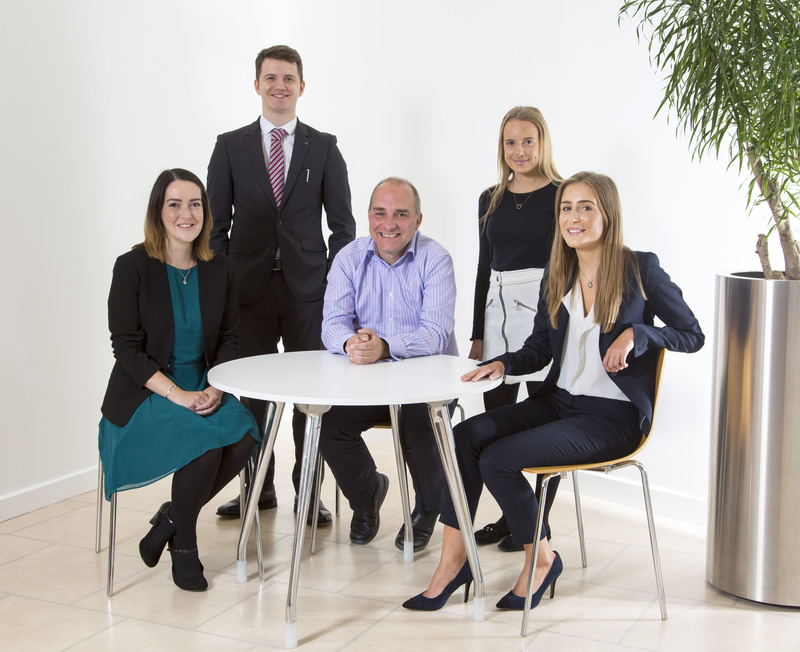 Lauryn and Paula join existing solicitor apprentices Ben Evans and Anna Douglas, who started their roles with us in September 2017 through the NESA programme. 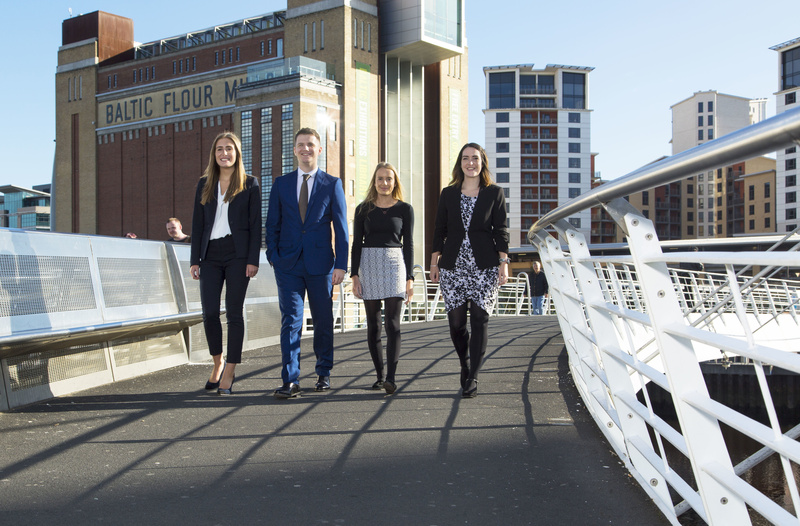 We were instrumental in the setting up of the NESA scheme, leading a consortium of six North East law firms in establishing the innovative programme to create a new talent pool for the profession and provide opportunities for everyone, regardless of background. It is also the first time that a consortium of UK law firms have worked together to form a regional apprenticeship programme for solicitors in the UK. We were awarded with the Journal’s Best Place to Work in the North East for a Medium Sized Company 2018 and our commitment to developing employees and supporting the region’s young talent were factors in the win. Jason Wainwright, Managing Partner, said: “We’re delighted to double our number of solicitor apprentices and pleased to be able to welcome Lauryn and Paula into their first seats here.